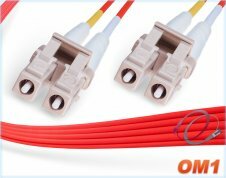 OM4 LC LC Fiber Patch Cable | LSZH Duplex 100Gb 50/125 Multimode Jumper Cord. Laser optimized multimode fiber (LOMMF) with 1.25mm, small form factor (sff), ceramic ferrule LC fiber cable connectors. 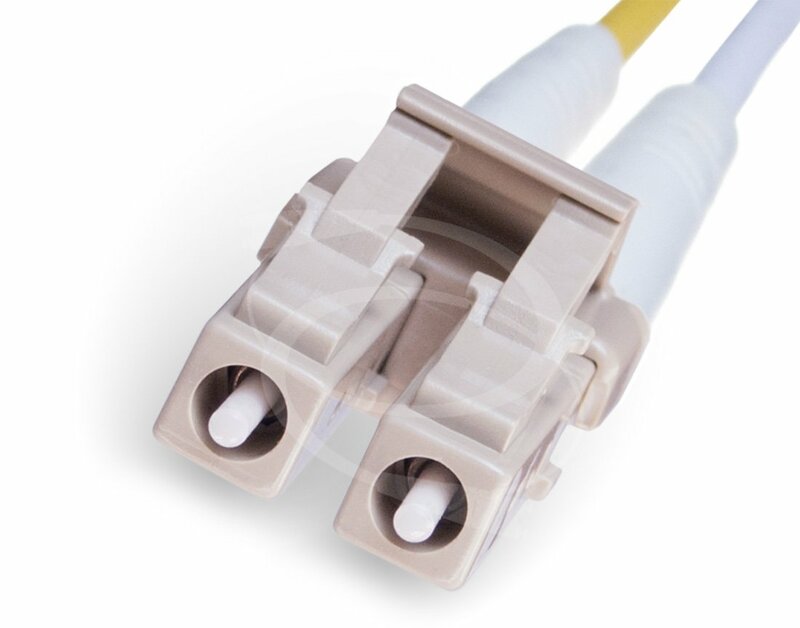 High bandwidth, Corning 50um multimode fiber jumper, 100Gb/s up to 150 meters. 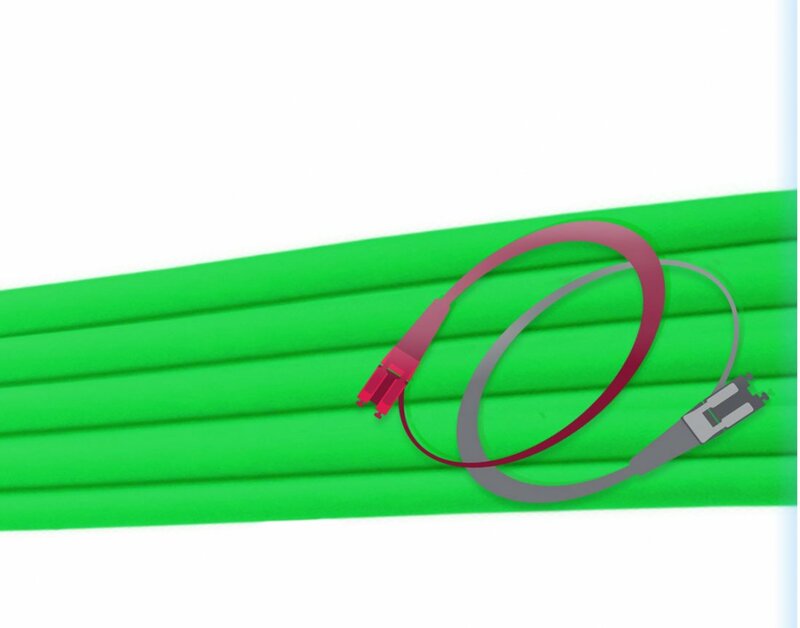 Green, zip-cord fiber optic patch cord, 2.0mm outer diameter, LSZH plenum, ofnr jacket. Green LSZH OM4 LC LC Fiber Patch Cable | 100Gb Duplex 50/125 Multimode Jumper. A Self Extinguishing, LSZH (low-smoke zero-halogen) jumper that's safe on the outside and fast on the inside. 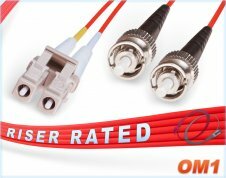 Accelerate your network to 100Gb with Corning laser-optimized multimode fiber (lommf), 50/125-micron core/cladding that can extend your 100Gbps reach up to 150 meters (backward compatible to OM3 and OM2). Assembled with green, LSZH, 2.0mm outer diameter, ofnr riser rated, jacket that's zip-cord reinforced, immune to electrical interference and has an operating temperature of -20°C to +60°C. 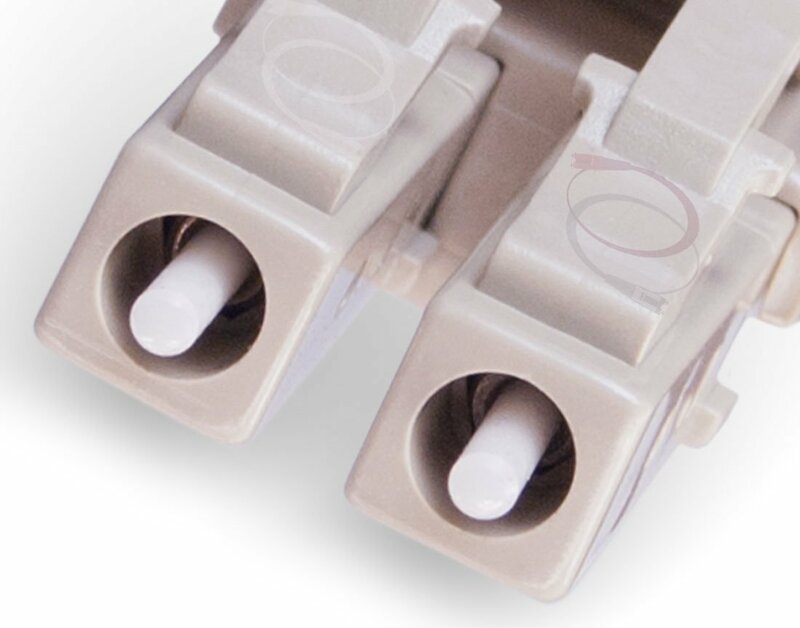 Pre-terminated with small form factor (sff), 1.25mm ceramic ferrule LC connectors that include pre-installed duplex LC clips. 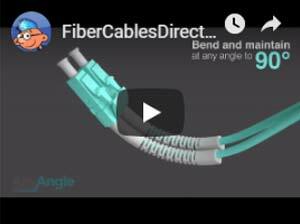 Safe, fast and easy to install/manage in high density cable environments, i.e., racks, between switches, transceivers, media converters, patch panels and other 10/40/100g fiber optic equipment. VCSELs optimized, supports Fast Ethernet, GbE, SFP+, QSFP+, SX, SR, SR4, eSR4, SR10, and other provider applications.